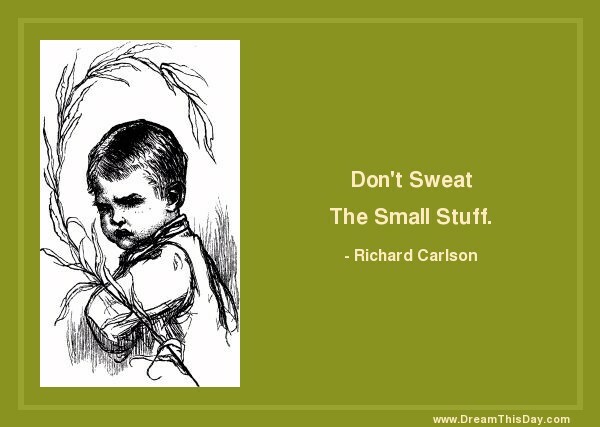 Read several of Richard Carlson's 100 ideas from Don't Sweat The Small Stuff. and important matters as important. If a task is important, do it now. and do something that really is important. Caution: The most important things in life are seldom the most obvious.